EB Mold Removal is a professional mold removal company that is ready to serve you and your home. We understand all too well the dangers of having mold in the home, and that is why we have dedicated our services of mold inspection, remediation, and removal to Fremont residents like you who find yourselves in need. 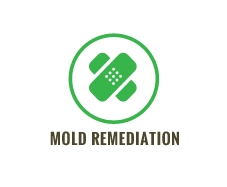 If you ever suspect mold or discover mold, collected moisture, or a leak in your home, call us right away so that we can remediate the problem for you. Professional service is essential when it comes to this industry. Homeowners cannot and should not be expected to have to deal with mold on their own, as mold removal requires special equipment and gear to ensure that it’s done safely and efficiently. As time is of the essence in this situation, we provide immediate response and remediation. 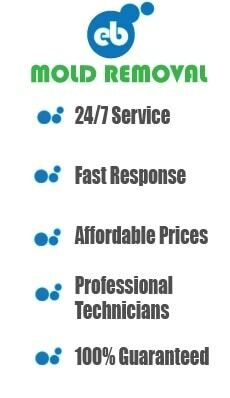 For these reliable, top quality services, it doesn’t get any better than the highly affordable prices we offer. In order to assess the situation properly, our professional technicians need to inspect your home for mold. We take air samples, surface samples, and bulk samples from the home and bring them to our laboratory for examination to determine the species and concentration of mold in the home. If mold is detected upon inspection, we will contain the area to ensure that the mold spores do not spread. Once mold has been identified, we begin remediation. Once the area is contained, we must remove the mold and contaminated surfaces. Porous surfaces are particularly vulnerable and should be removed from the area. We also thoroughly dry the area using dehumidifiers so that mold has no moisture to help it grow. Next, we help with repairing, replacing, and restoring your home to its condition before the mold problem arose. Finally, we retest the area for mold to ensure that the problem has been remediated. The dangers of mold affect both the home and the residents. Mold can destroy home structures including wood, insulation, and more. Once these are ruined, the structure of the home is compromised. Even more important are the health risks that are associated with exposure to mold. Homeowners and residents who are regularly exposed to mold may experience symptoms such as allergy symptoms, respiratory complications, headaches, skin irritation, infections, and more. In cases of toxic black mold, death or permanent health conditions may occur if the mold is not re-mediated. For professional mold removal to eliminate the problem and the risk to your health and your home, call EB Mold Removal.